For this project, we gathered all of our resources in Humanities, but learned how to take proper interviews, lighting, and video tips in Digital Art. This project was very collaborative and required good communication with others. One thing I learned during this project was time management. The fact that our film had to be completed and edited in 2-3 weeks was a challenge. We also had to display our videos to the public, so to take ownership in something we had barely anytime to do was hard. My favorite part of the project was either taking B-roll or playing with lighting. I learned many skills with this project and had many challenges that I worked through. For this project, I used photoshop. I was able to figure out new things with photoshop and did the whole project on my own. I was also able to work on it at home, which gave me more time to play with things and figure out how to do more. 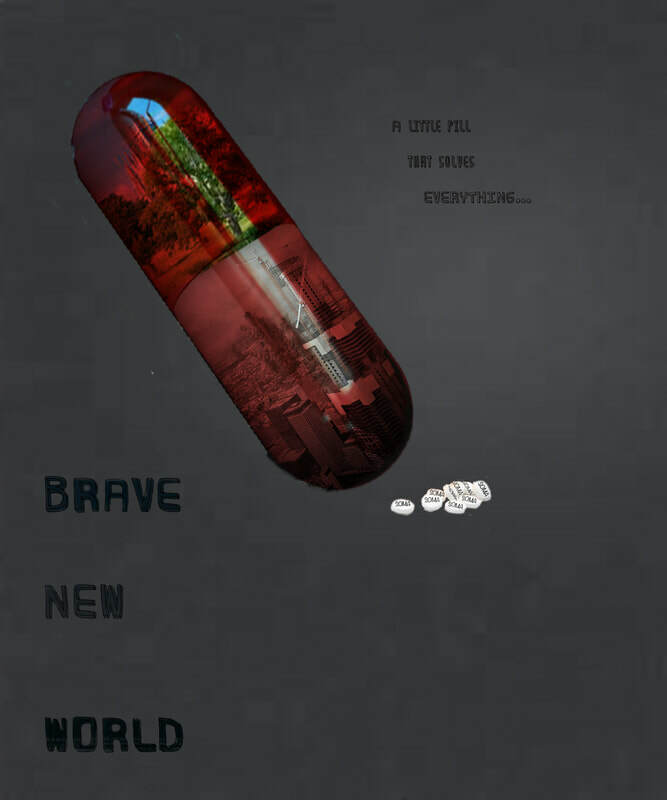 In humanities, we read a book called Brave New World that was a dystopia and told people to take a pill to make them happy. This pill is called Soma and it controls everyone. So, my project ties with humanities because there is a bill pill with two worlds in it. There is also pills called Soma, that are coming out of the big pill. This reflects deeper learning of what we are doing in class because it shows how much I comprehend how people today, and in the book, are being controlled by their substances. A big takeaway from this project for me is how much people are not happy and how much they rely on things to satisfy them. For this project, we took pictures of sticks that made a letter that was a part of our name. Then we learned how to use photoshop and learned how to use the different tools on it. It was a fun and helpful project to introduce photoshop.